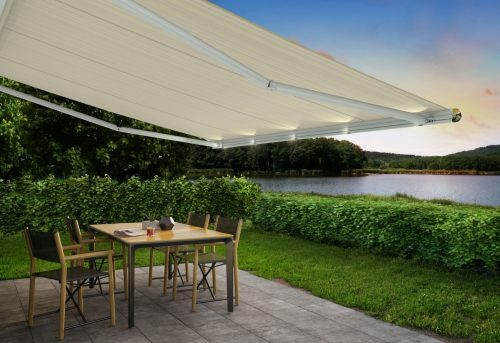 The award winning markilux 1600 Awning is suitable for all year round use. Strong, durable and fitted with a special brush for removing dirt and debris, this awning performs just as well in the autumn as it does in the summer. 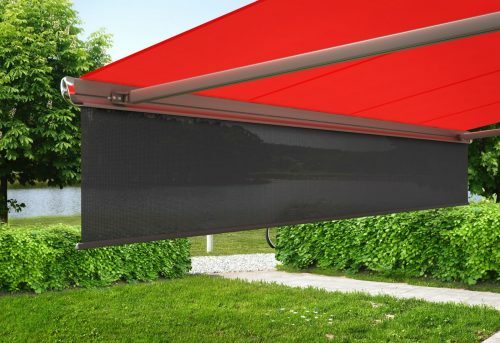 The markilux 1600 features strong and powerful arms with double steel link chains at the elbow joints to hold the awning sturdy and keep the awning fabric taut at all times. 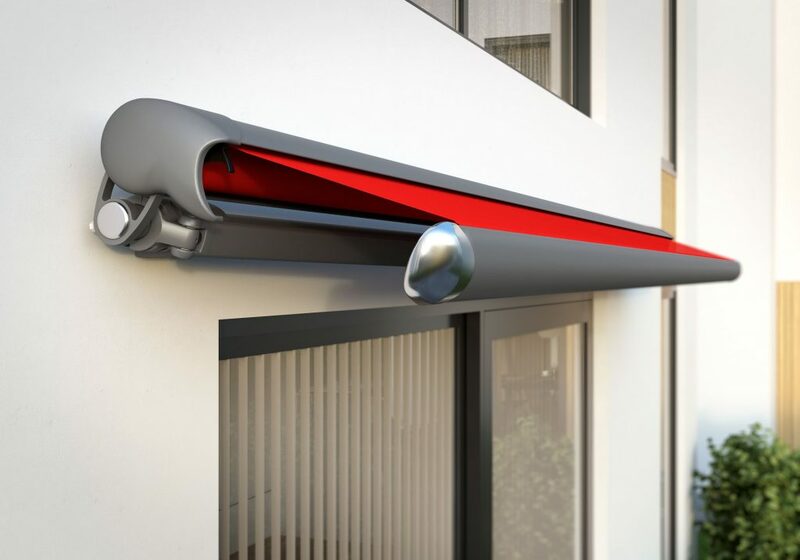 With an elegant aluminium front profile, complete with debris brush, the markilux 1600 has been granted an IF product design award. Although a semi-cassette awning, the front profile cleverly encases the arms to provide the same closed effect of a full cassette awning and tilts down as the awning closes to further protect the awning fabric from above. The markilux 1600 can be customised to your own specifications with numerous frame colours and fabric colours to choose from, including options from the Sunvas, Sunsilk and Visutex ranges. Choose the markilux 1650 to enjoy integrated LED spotlights in the front profile. The spotlights can be rotated vertically up to 90 degrees and are dimmable, allowing you to create the perfect ambiance in your outdoor space both when the awning is open and closed.